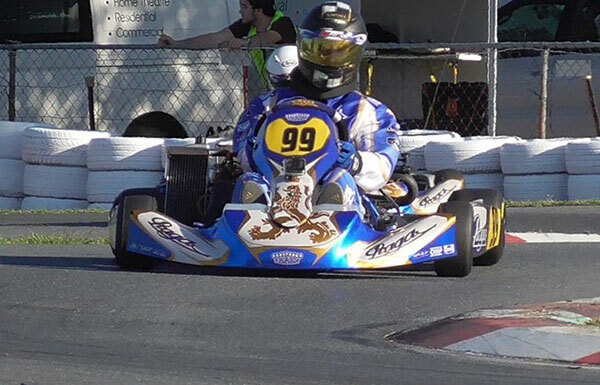 Another fantastic day of racing at Ipswich Kart Clubs championship round 6 the other week, “The King Queen Titles of KA100”. 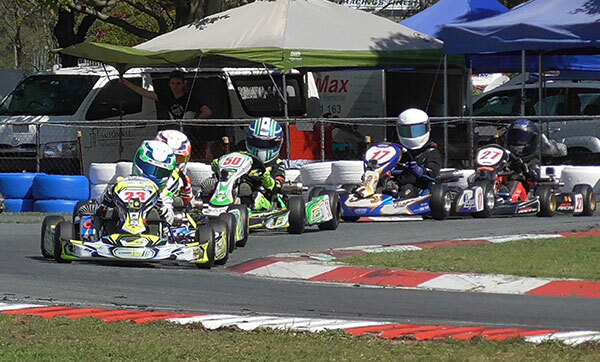 A chassis was the main prize courtesy of JC Kart & Project X Racing. 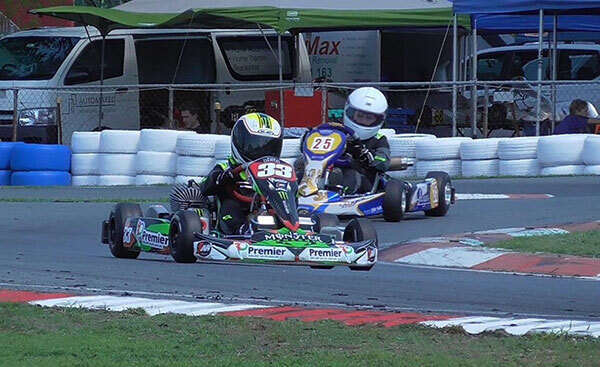 I must first say it’s great to see my mate Karl Hoffman is up and about again after he had an accident at IKC Saturday during his last race and we wish him a speedy recover. He will I’m sure be fit enough for the Australian Sprintcar Titles in January! 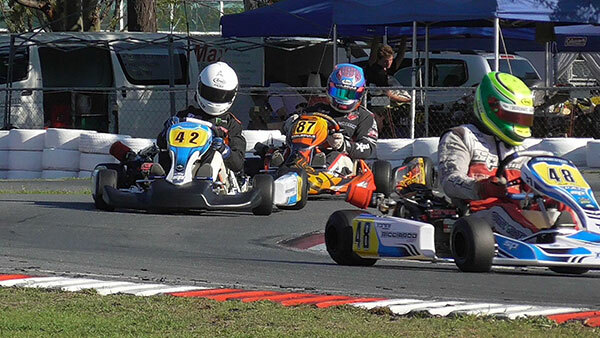 138 drivers contested the event and gave us some fantastic racing. 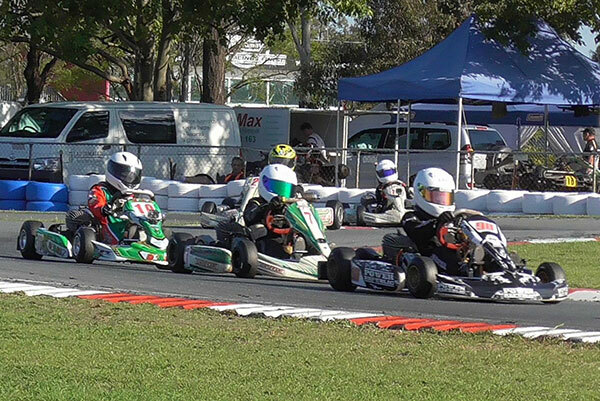 Even the new comers in Cadet beginners showed some great driving skills on their first time on track! 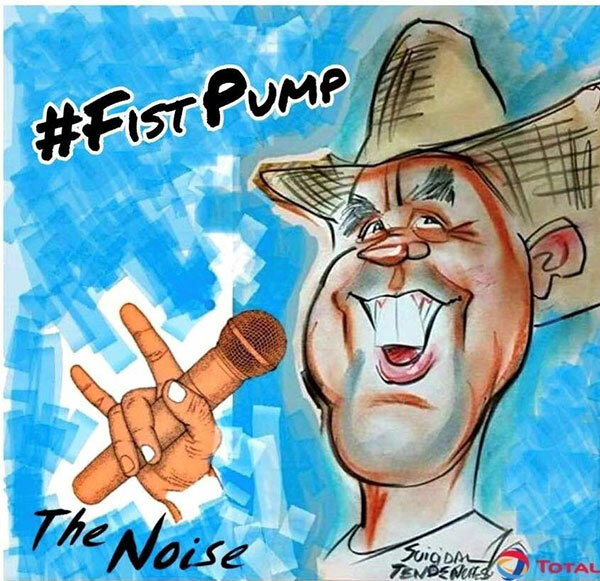 It was Ryan Newton who managed to put it on pole but there on in it was the Tommy “the hit man” cooper show, winning all the heats and the final by 2.7 seconds ! Coming home second after only managing 4th and 5th In the heats it was Oscar Comley with a fabulous drive. Third place went to Ryan Newton and it was an excellent drive from Jacinta Hoey to grab 4th just ahead of Conner Roberts in 5th. The final was too dark to film. Sorry. 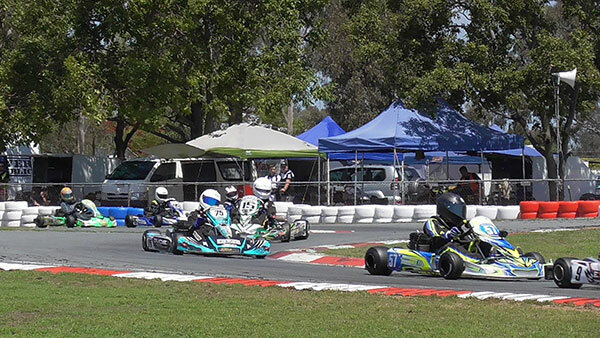 Pole position went to Annabelle Rolfo in the Corsa Aparell #58 Kart, it was a mixed bag of results in the heats showing how competitive this class is, wins to #58 Rolfo , #66 Newton & #57 Tennant, but it the final it was shear determination that brought the back to back state champion #57 Kurtis Tennant to yet another victory, it was an even more impressive drive by eventual second place finisher #22 Oscar Targett, and it just wasn’t to be this weekend with #58 Annabelle Rolfo eventually taking third. #66 Ryan Newton brought it home 4th just ahead of a fantastic drive from Harvey Pryce who has definitely announced his entrance into the big league! 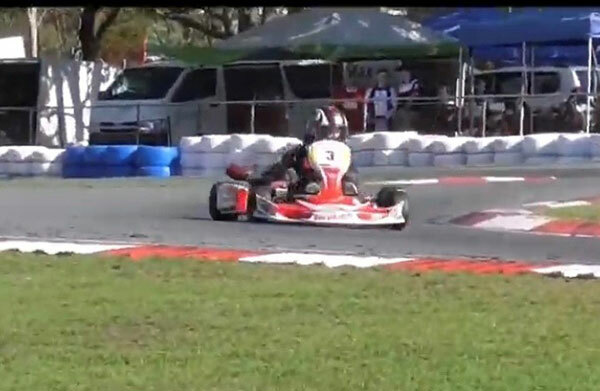 A word on the single 4SS Junior kart on track of Cody Tucker. 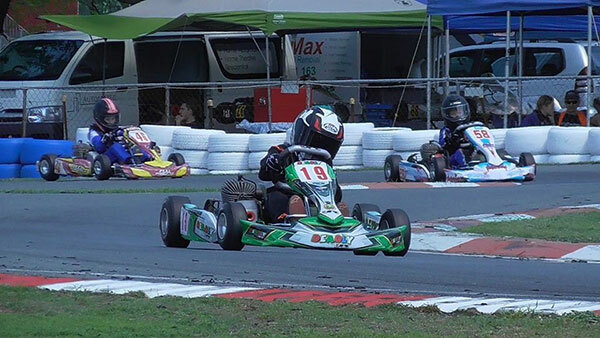 He had a blast in amongst all the much faster 2 stroke kart’s and very nearly got into the 57 second laps – a great effort! 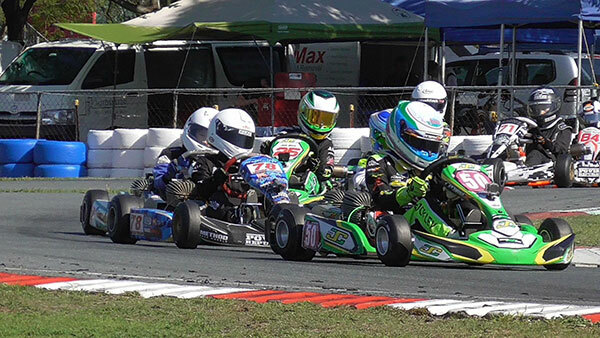 This is where it all starts and Ipswich kart clubs junior programme run by Russell Inness is really developing a great culture of nurturing young kids into the sport from the shallow end. They each get to go out on track during race day first as full length practice session then with three demonstration runs with a race start included, they took to the conditions like ducks to water. Smiles all round and we’re excited to be out there, 6 of them for their very first drive! It was the slightly more experienced #33p of Levi Boyd & #25p of Max Chattin that were out front in the heats and having a blast. Behind them just as much fun was being had by #46p Claire Twigt & #58p William Wallace, Claire in particular almost having a drift session on some laps! #19p max Battaglene-sharpe & #44p of Raphiel Lafaele were going really well also. 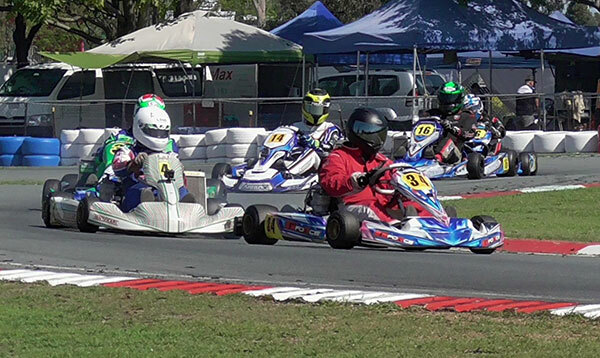 #12 pheobe Gurney, #14p Xavier Knight & #22p Taylah Ensby were all getting to grips with the IKC track lap after lap. #19p Max Battaglene-Sharpe leads the charge through the flip flop #58p of William Wallace gives chase followed by the #46p of Claire Twigt. Well, one set of racers that just kept on giving! These know how to race and have fun, all smiles after and pedal-to-the-metal on track! The main man #2 Straughney had a very dominant day in the Masters getting a clean sweep of victories while #33 Michael Smith & #4 Paul Willmott battled hard all day eventually Smithy got second and Paul 3rd behind them Linus Brown and Mike Warren were having their own on track battle and giving it a crack. Straughney leads the Masters and on his tail is the #33 Michael Smith and #4 Paul Willmott hanging on! 4SS Senior, we all hale The Burd Man! 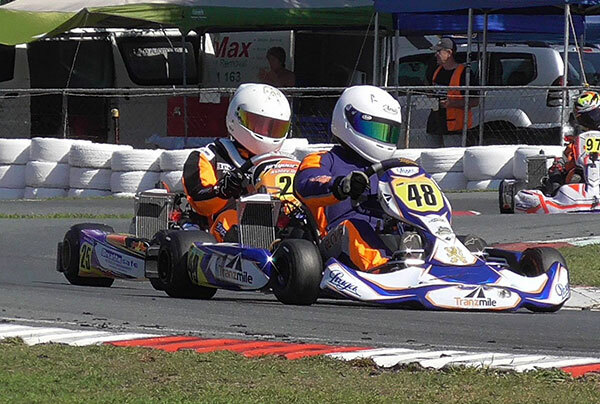 #48 Scott Pearce he had the kart on rails all day, #42 Ryan Bolton showed great early pace but it was the class of SEK QLD driver #87 Colin Palmer that came to the fore to get him second place in the final just beating Bolton who held onto 3rd! #12 Kev Davies & #3 Tommy Tucker showed great early pace while #40 Rhys Kinder held on to their shirt tails ! The #23 of Jaxson Burns was unstoppable this weekend and could do no wrong! The Z Corse driver won every heat and final. Behind him it was a different story with battles all over the circuit developing like tornadoes at different times of the day. 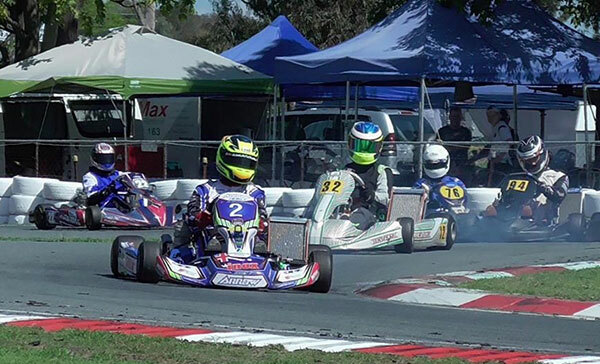 The #17 of Jake Santin from Lismore who eventually got second place was in the thick of battle all day long #50 Paddy Buckley & #97 Jordan Sell from Warwick also right up there eventually securing 4th & 5th respectively with Buckley just 1 tenth behind Sell! 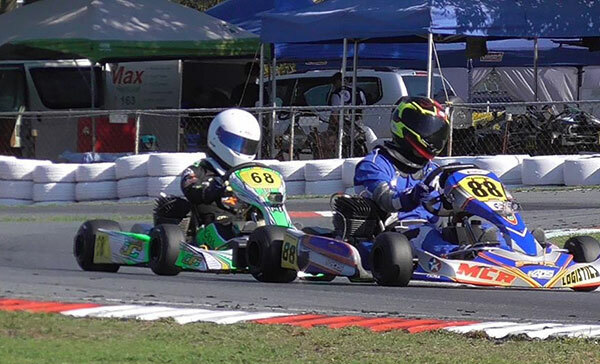 But it was brother of Jaxson the #31 of Jenson Burns that was to come home strong and grab the final podium place. 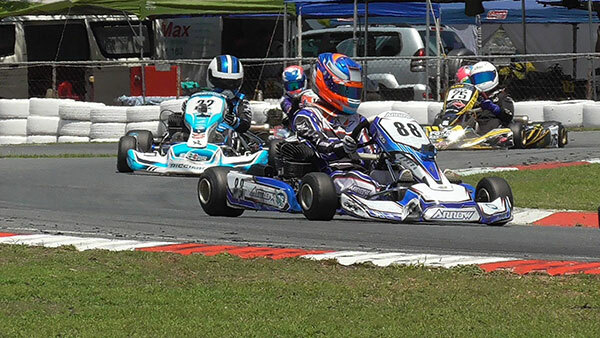 Yet again the TaG Light class gave us some great racing #86 Marc Tulloch would have had a clean sweep but for Praga driver the #99 Dylan Rudd who had an excellent win in heat 1. After a disastrous day in the heats #76 Ben Jurczak had a blinder in the final making his way through the field to eventually finish in second spot, just beating #2 Harrington Doyle driver Scotty Sorensen who came home third. 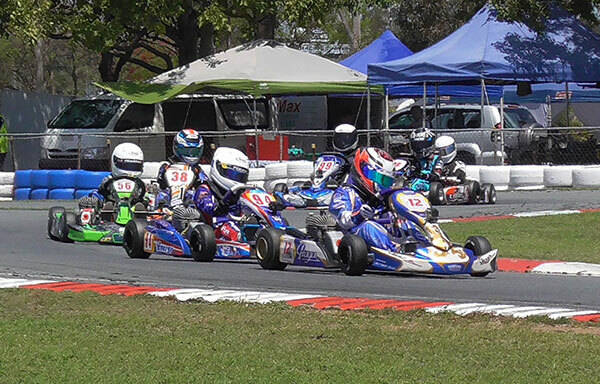 Keeping her championship aspirations alive finishing 4th was #31 the project x racing driver Eryn Osborne, and special mention must go to #94 Bailey Tippett making a return to racing after a 12 month lay off and coming over the line in a very commendable 6th place. 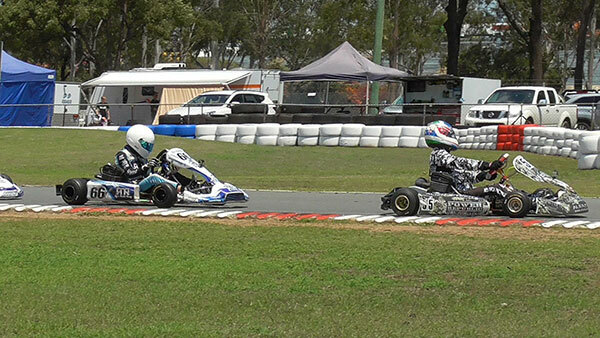 The medium boys our favourite pie eaters didn’t disappoint yet again… some fantastic heat races all day long! Heat 3: 1) farkas 2) straughney 3) Gilliam! So you can probably see that it was honestly anyone’s final to win with so many guys showing the pace needed for victory it was magnificent to watch! 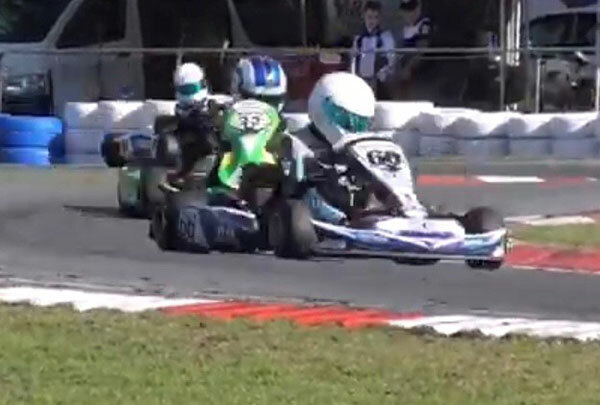 In the final though who could have predicted that after a dnf in heat 3 that #34 Jackson Bermingham would come back and get the win and what a fantastic drive it was too. 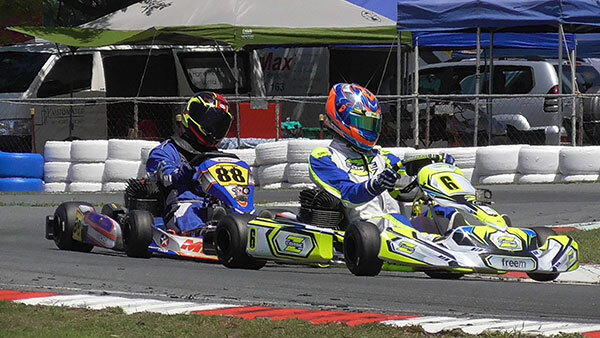 Holding onto second with a strong run was #18 Andrew Gilliam and the final podium position went to #16 Gregory Hines. Mention must go to the unlucky Rudy Farkas coming home 4th and just missing out on a podium and 5th was the improving #14 Scotty Cleveland. 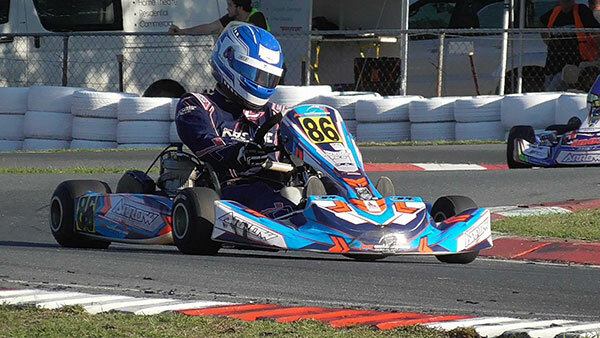 Mention also must go to the returning #77p Keyan Appleby, racing hard but still managing the HANG TEN! 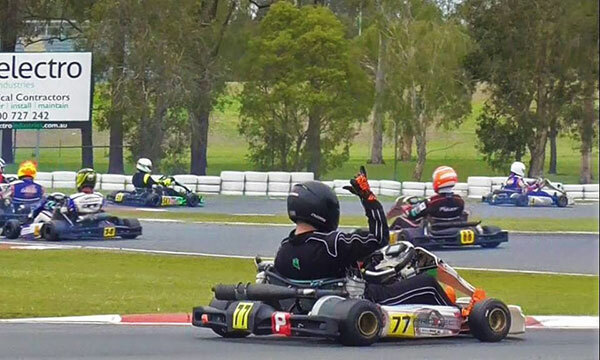 #77p Keyan Appleby gives us the royal wave! 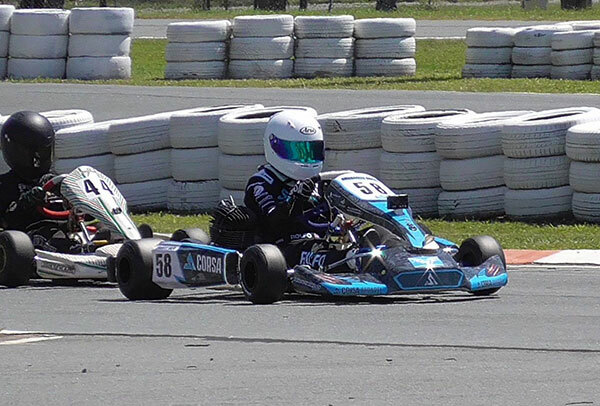 Another excellent performance from the flying #25 of Ashley Davis, stepping up to the plate this time to challenge him was #48 Jeremy Glover, who himself won a heat race, also stand out performances during the day from #33 Brianna Mackenzie and #97 Liam Moyse in his new kart. It was the #27 of Dallas Oksanan who eventually took the third step of the podium, a mention also to #31 Paul McNeil just missing out on a podium. And what a drive from #78 Leorra Devisser who drove to a fabulous 5th place finish. The pocket rocket class once again didn’t disappoint! In the heats first up it was a Platten, Taylor, Gardner 1,2,3. Second heat finished Buckley, Trost , Scott. In heat 3 it was Mad Max Walton, Trosty and Welzie the Ormeau flier! So onto the final and it really was looking like anyone of about 10 drivers could win it! 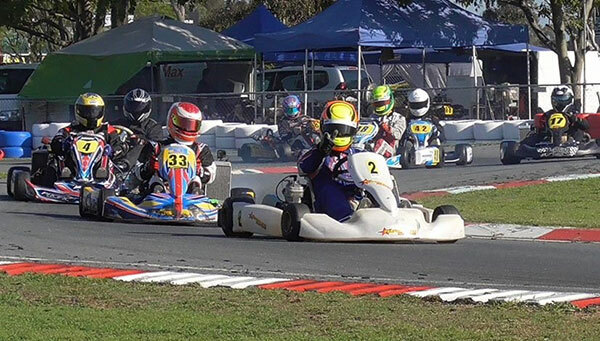 Coming home in a very commendable 5th place was #68 “mad” Max Walton, a great drive to 4th by #56 Lachlan Platten, onto the podium and in third place was #25 the Ormeau flier Jack Wells. In second place an excellent drive from #47 “cool hand “ Luke Trost and winner winner chicken dinner to the best on the day, #78 Lincoln Taylor. Another very competitive race day for these guys #6 Harrison Hoey had to fight for it all day with #26 Bailey Sagaidak getting faster and faster through the day but just when you thought he might step up and challenge for victory #88 “the blingy man “ Dale Zimmerman has other ideas beating him to second place! Setting for 3rd Sagaidak did enough to stay ahead of the unlucky #68 the turkey man Lachlan Nichols and #48 Maldonado Daley Martin.